Bringing Life to your Ideas! 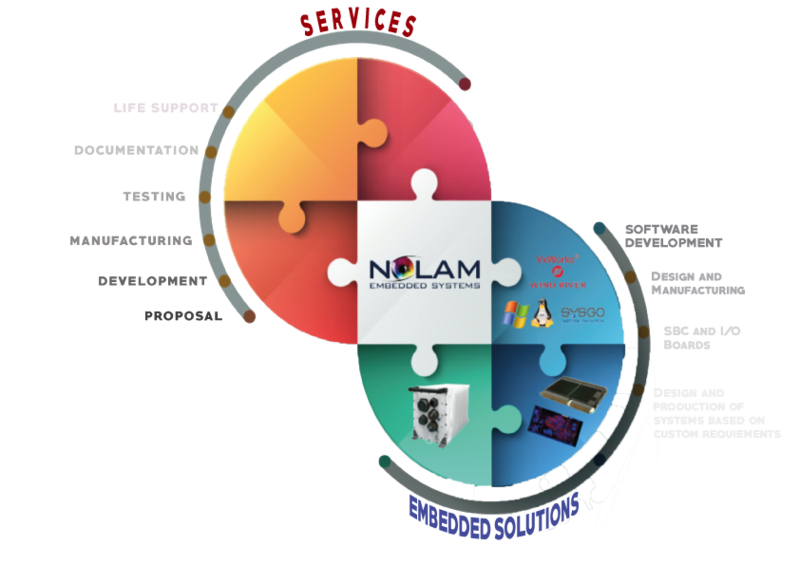 Nolam Embedded Systems is a leading provider of professional, yet cost-effective Computing and Embedded Systems on a full turn-key basis. This is supported by our strong in-house HW & SW design and integration capabilities. Our Computing & Embedded Systems Solutions group provides “best in class” solutions for your Embedded computing needs : SBC, I/O products and Packaging. Our strong capabilities and wide experience derive from closely working with a large variety of clients within the Defense, Naval, Telecom, Industrial and Medical, industries segment markets. Nolam Embedded Systems delivers its customers with the ultimate “Total Solution” approach. Our staff includes high-level HW & SW Engineers, provides to our customers with technical support, from application analysis and consultation services, through the design phase, integration, installation, training, maintenance, post-sale and technical support phases. The FMC standard provides a great deal of flexibility for I/Os interfaces. Board levels products integrated in field upgradable system. IP Cores into allow you to enable faster time-to-market and minimize design costs and risk. We specialize in the packaging, integration, and qualification testing of rugged systems. Small form factor (SFF) is a computer form factor designed to minimize the volume of a desktop computer. VPX is poised to become the successor of VME in all harsh environment applications for the next 20 years.